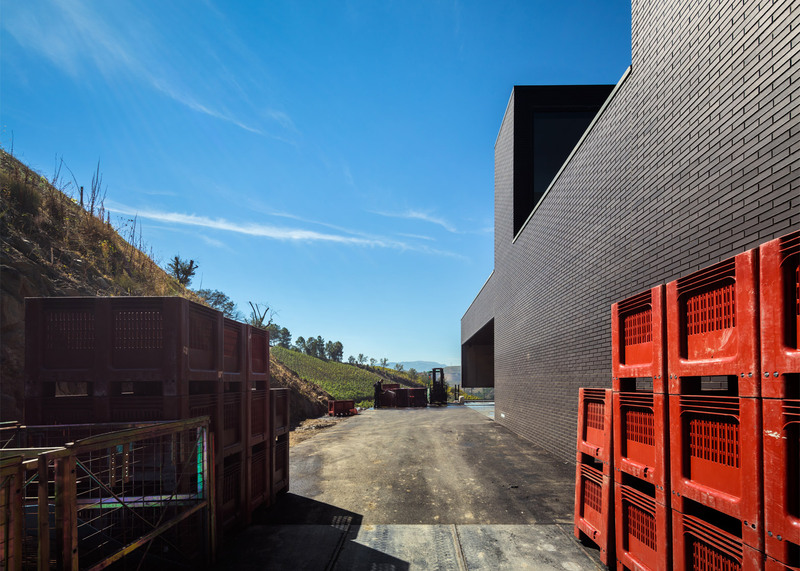 Perched on a hillside overlooking the vineyards of Portugal's Baixo Corgo region, this wine-making facility and visitor centre is clad entirely in black brick to minimise its visual impact on the surrounding landscape (+ slideshow). 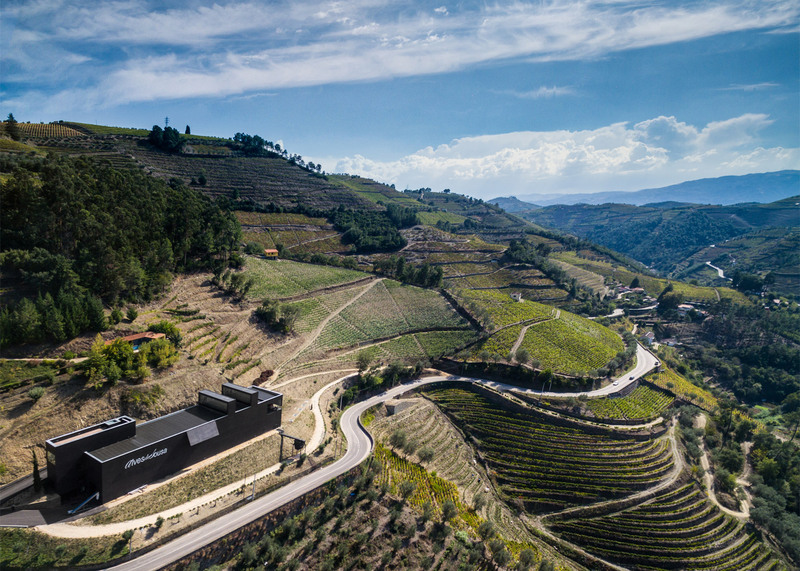 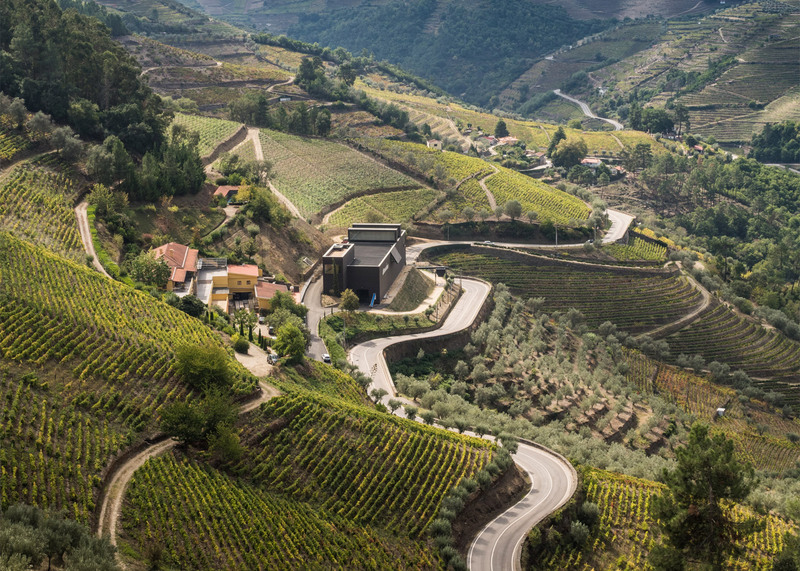 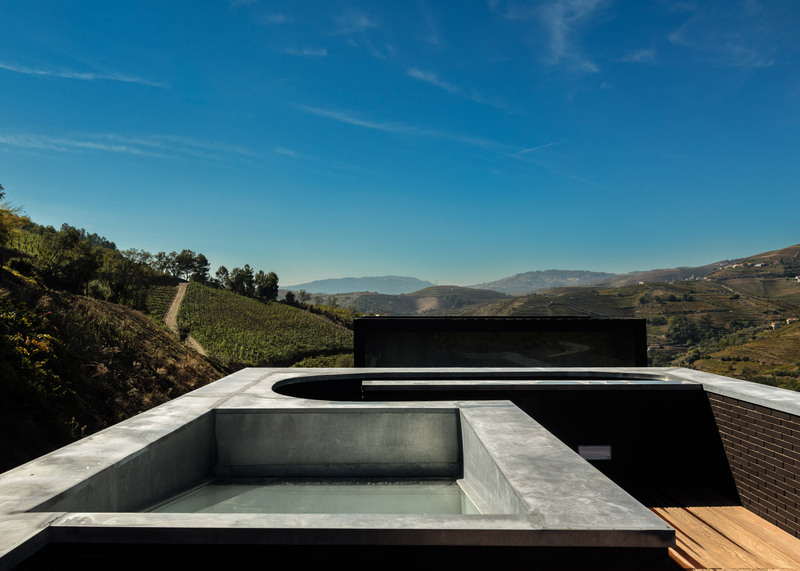 Situated next to a road that winds its way north from the Douro River towards the city of Vila Real, the building designed by local architect Belém Lima is incorporated into winemaker Alves de Sousa's Quinta da Gaivosa estate. 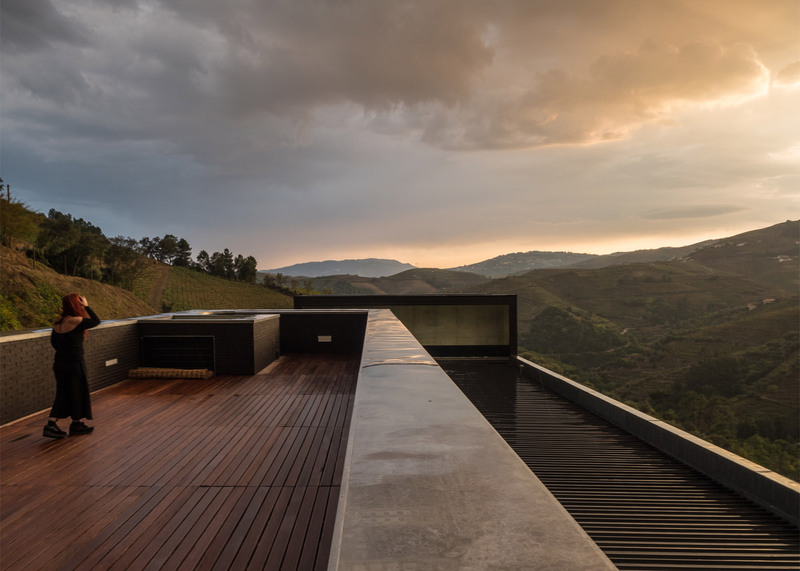 Its position on the valley's western slope close to the estate's entrance was chosen to avoid disturbing the adjacent vineyards and to provide excellent views of the landscape. 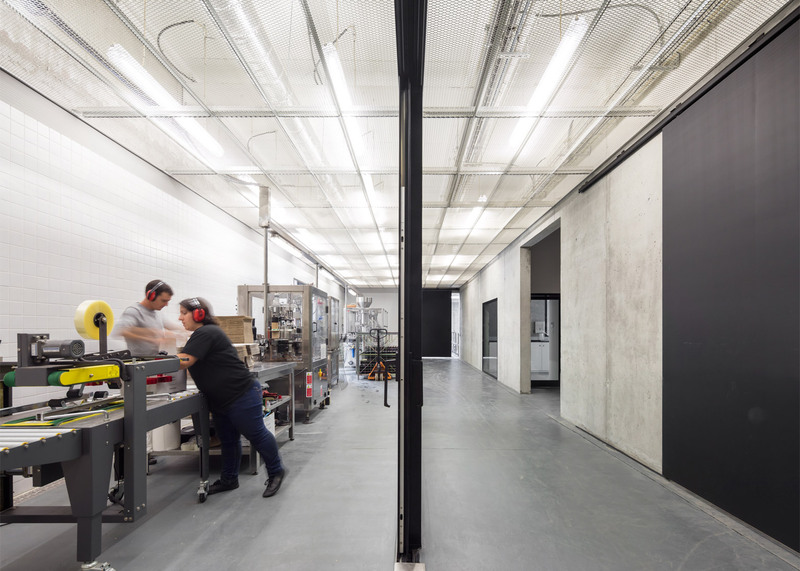 The building's dual purpose as a production facility and visitor attraction necessitates distinctly different types of spaces, which are accommodated in two intersecting volumes. 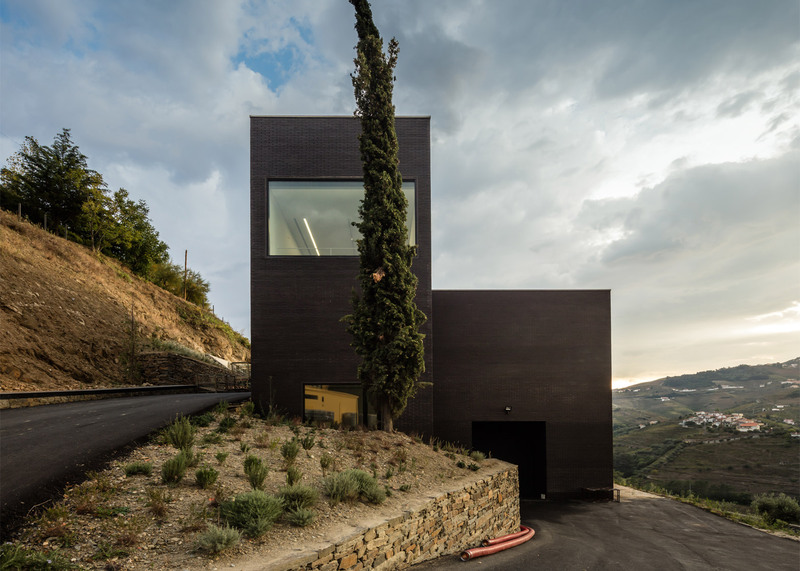 The large structure housing the production and storage equipment in double-height rooms extends parallel to the topography of the site and is partly embedded in the hillside. 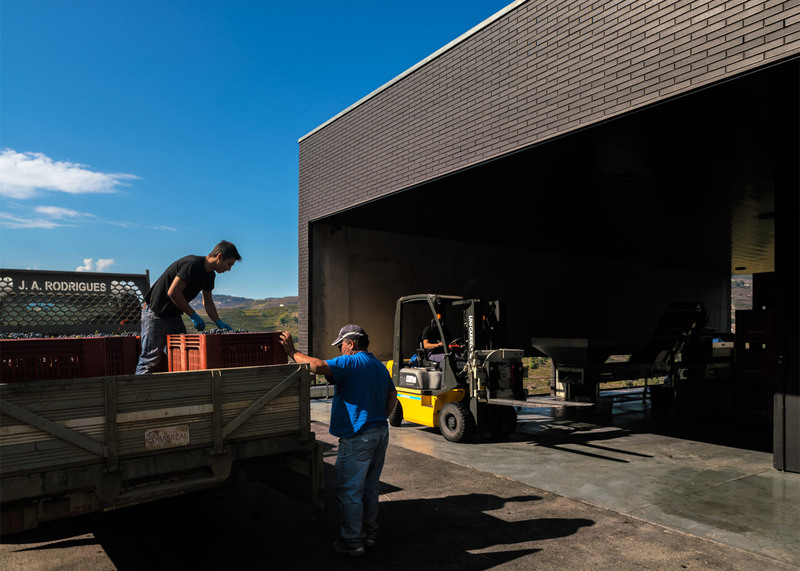 "Winepress, vats bay, laboratory and bottling merge in mutual transparencies, showing the logic that everything is supplemented with precision," said Lima. 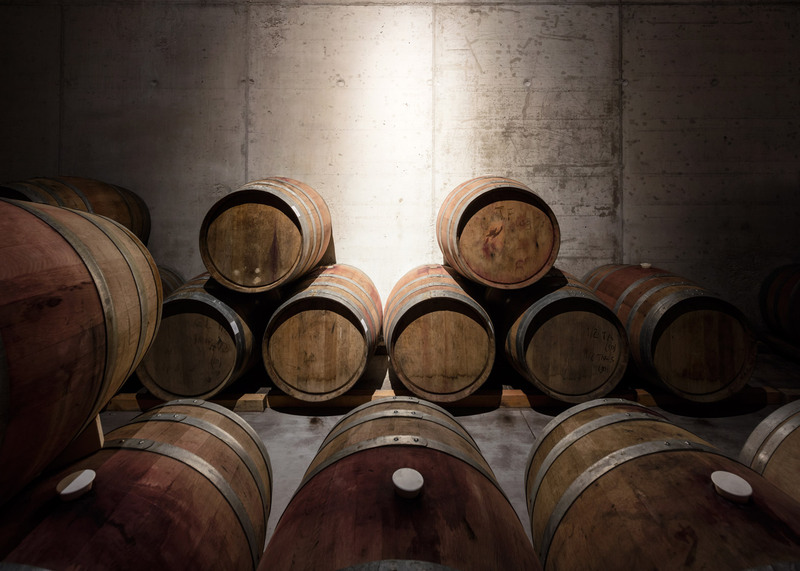 "The casks do their cumbersome work in the shadows below ground." 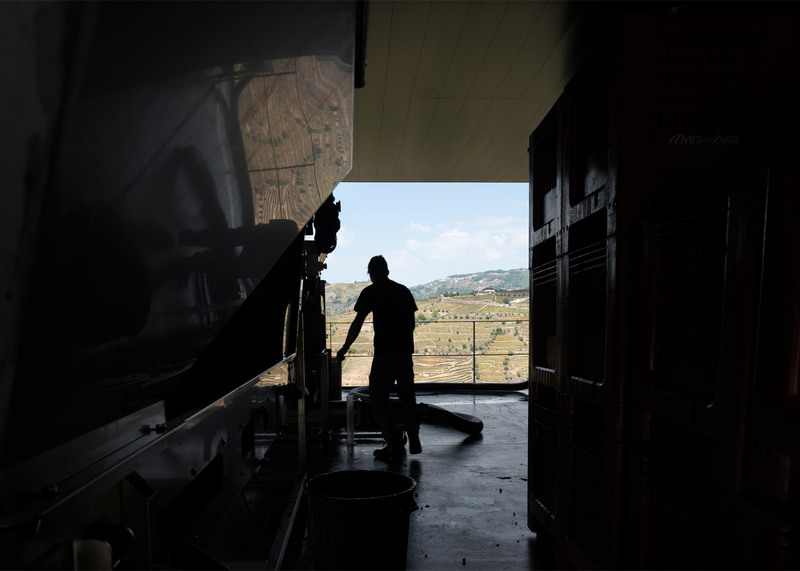 The grapes are introduced on the upper level and transferred directly to the adjacent presses. 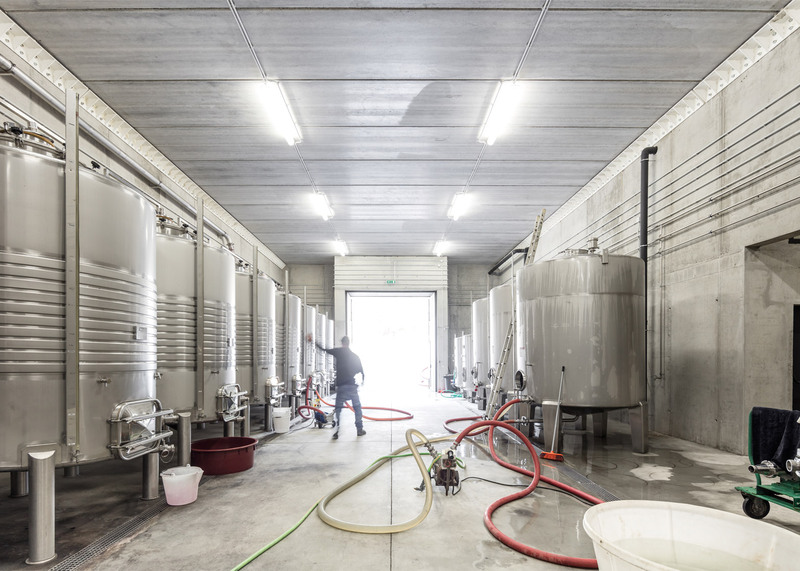 This floor also contains the laboratory and bottling area. 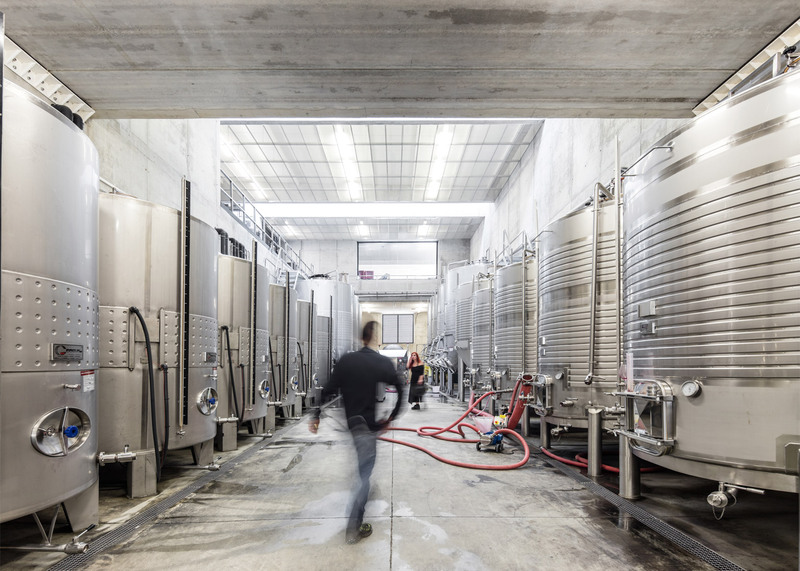 The wine is produced in stainless steel vats and aged in wooden casks on the lower level, where the surrounding earth ensures a consistent temperature. 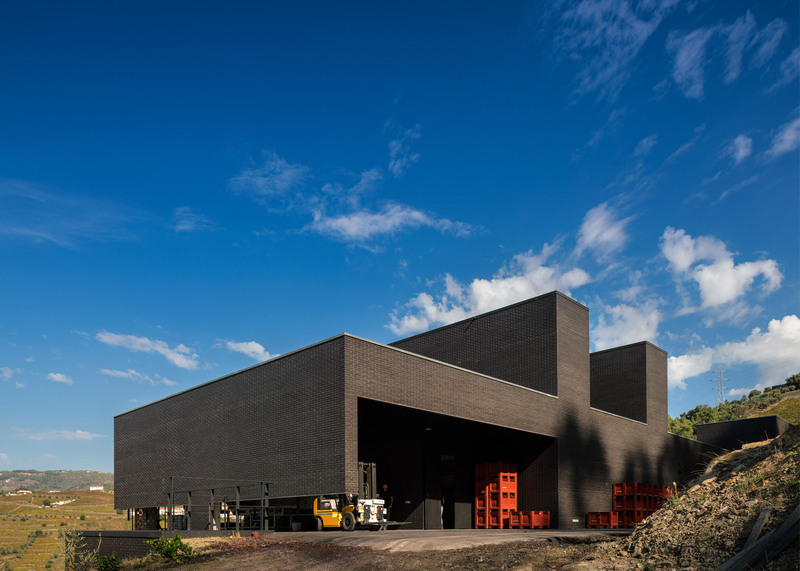 A smaller volume that extends from the northeast corner of the building contains circulation areas and services, including the staff canteen and changing rooms at the lowest level, with offices above. 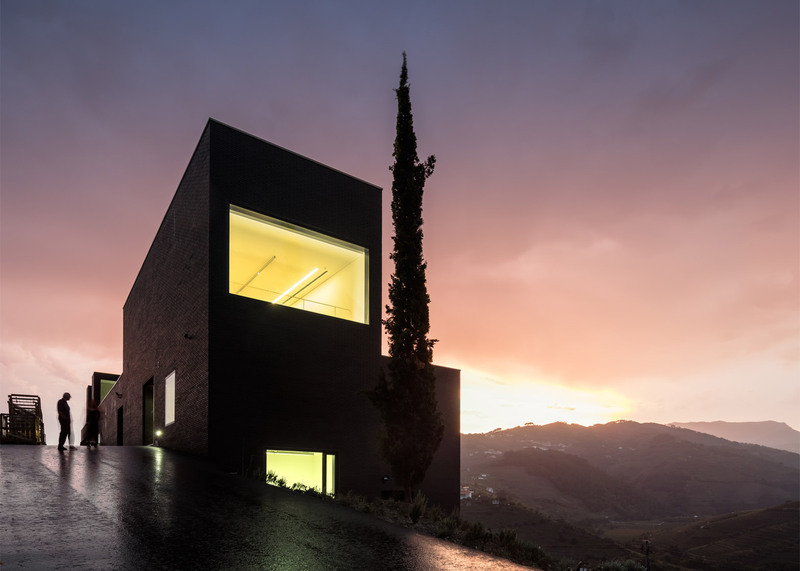 Visitors enter at the third floor, where there is a reception area and wine shop. 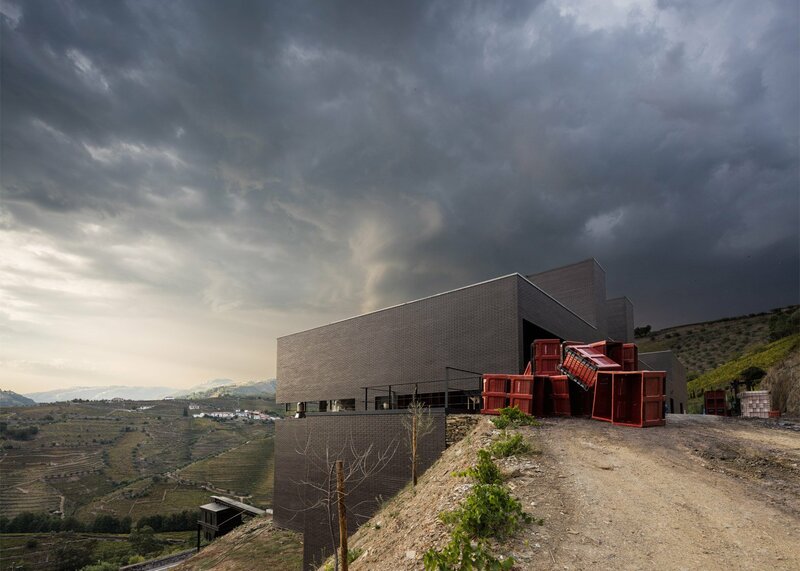 Stairs ascend from this level to a wine-tasting room above and a panoramic roof terrace that overlooks the valleys. 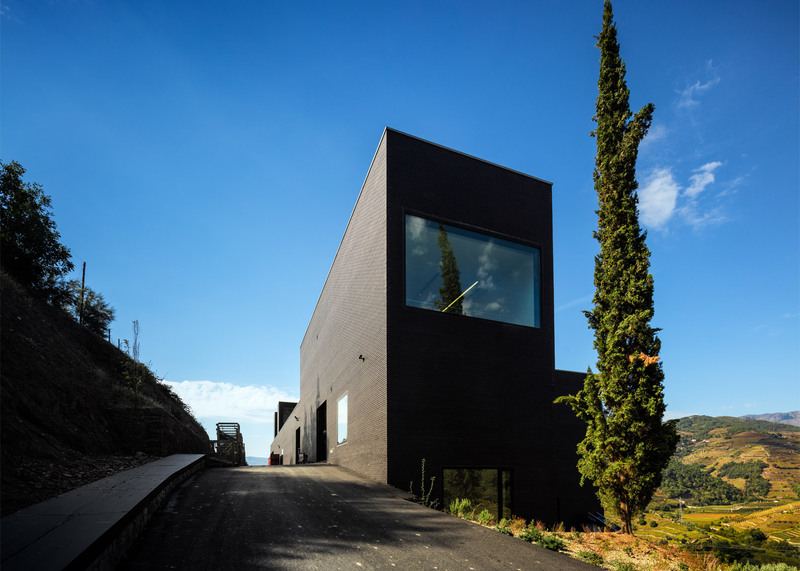 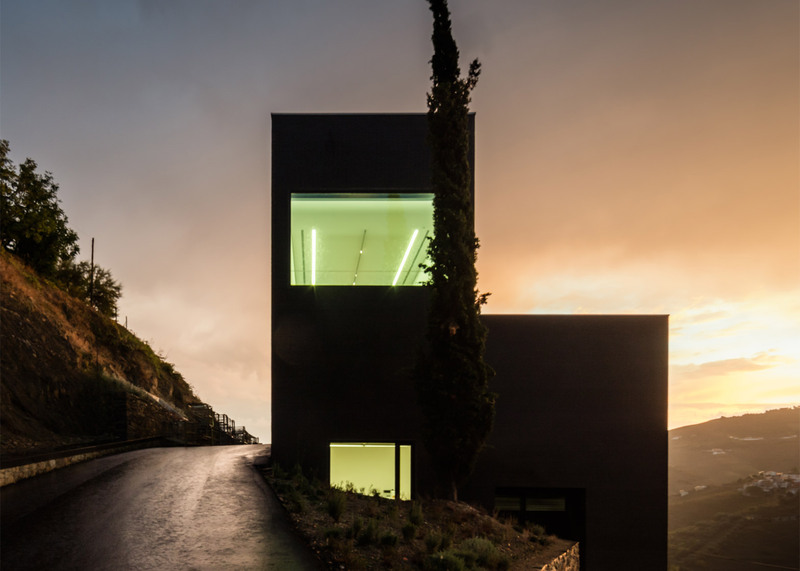 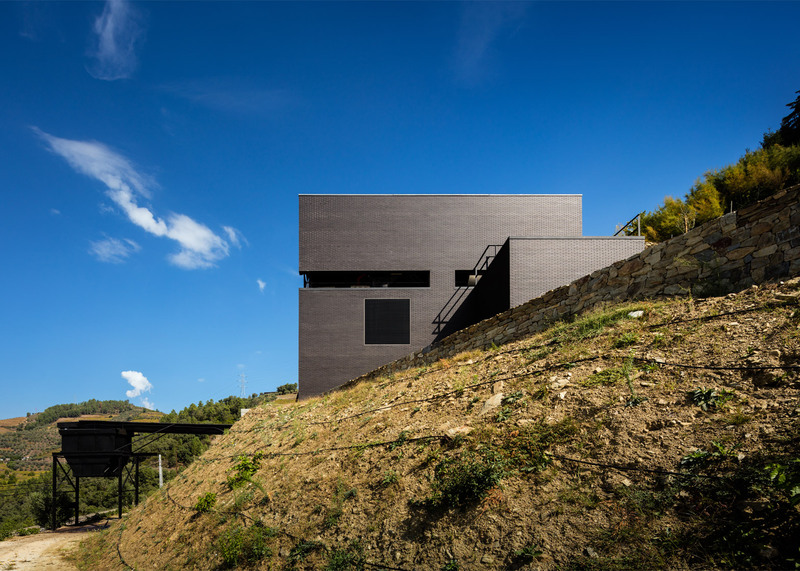 The building's straightforward geometric form is clad in partially vitrified black brick, resulting in a homogenous aesthetic that helps it blend in with the dark vegetation of the slopes behind. 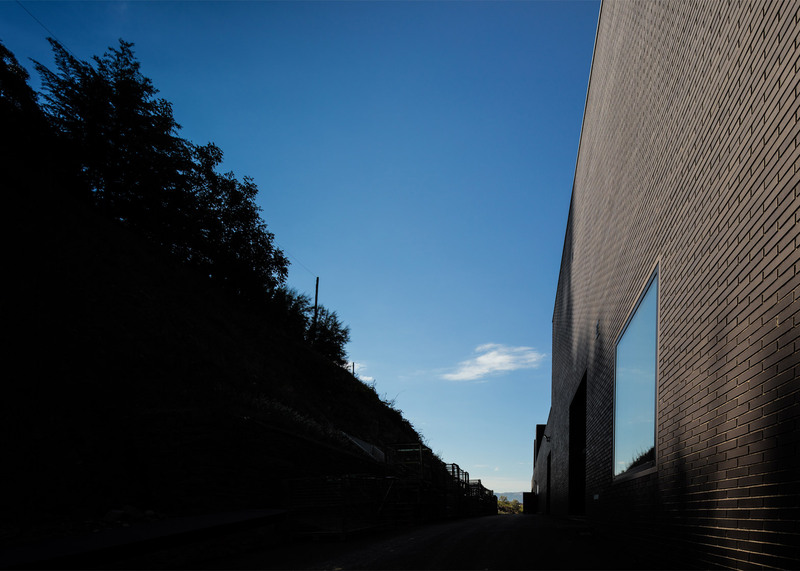 The brick is lined with mineral wool insulation to create facades capable of passively controlling the internal temperature. 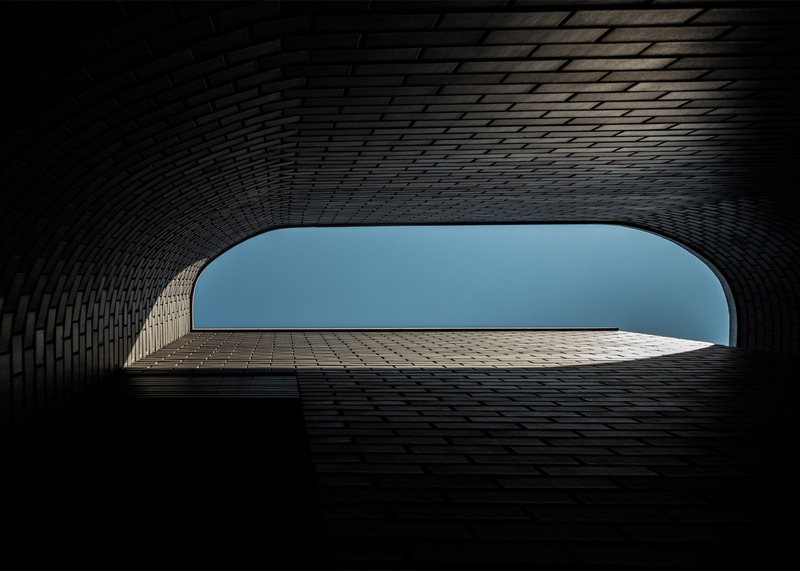 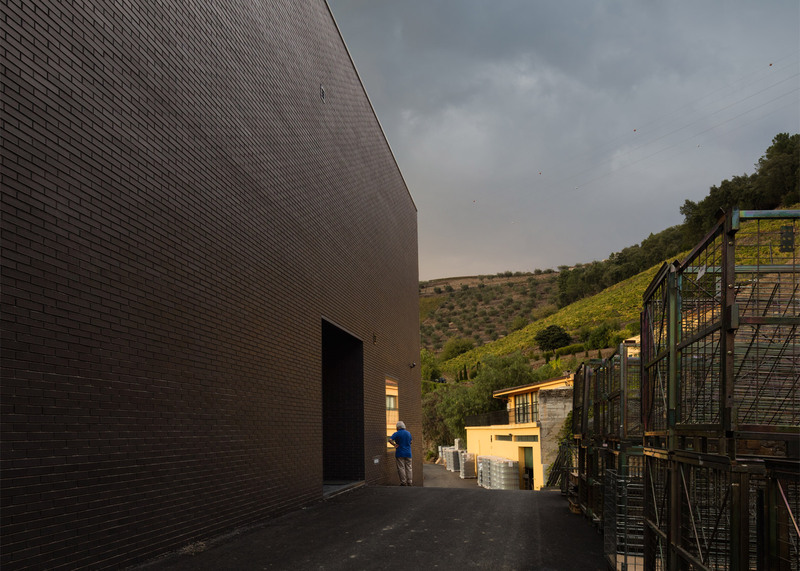 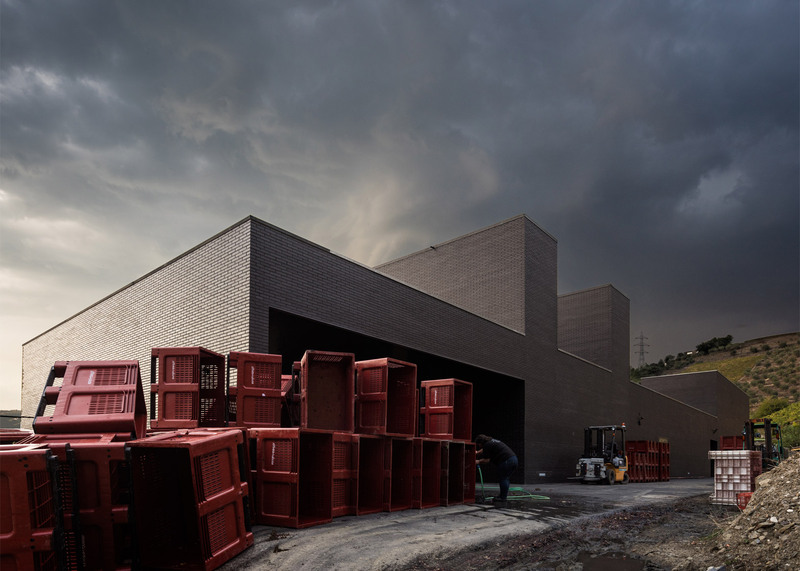 "The outer coating in black klinker brick optimises the ventilated facade and conceals visually all the cellar volumes into the picturesque landscape," the architect added. 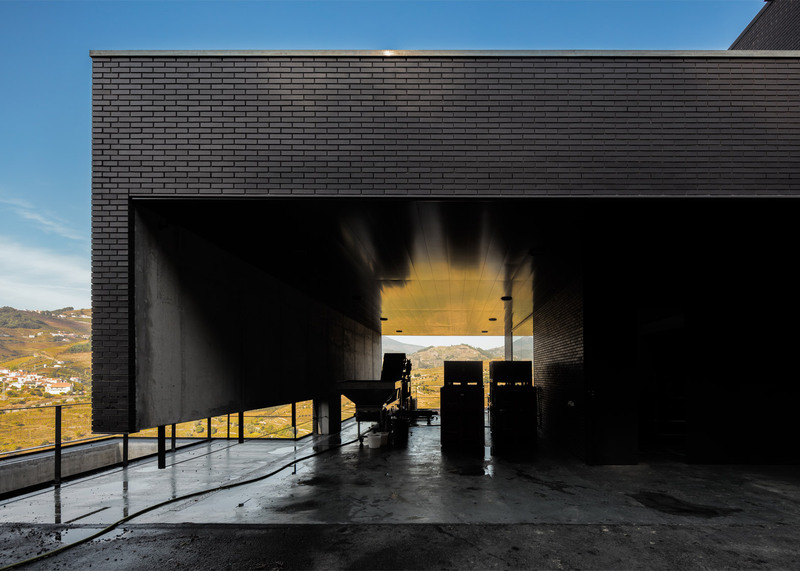 A pair of towers that extend above the roofline contain windows that funnel northern light into the production areas. 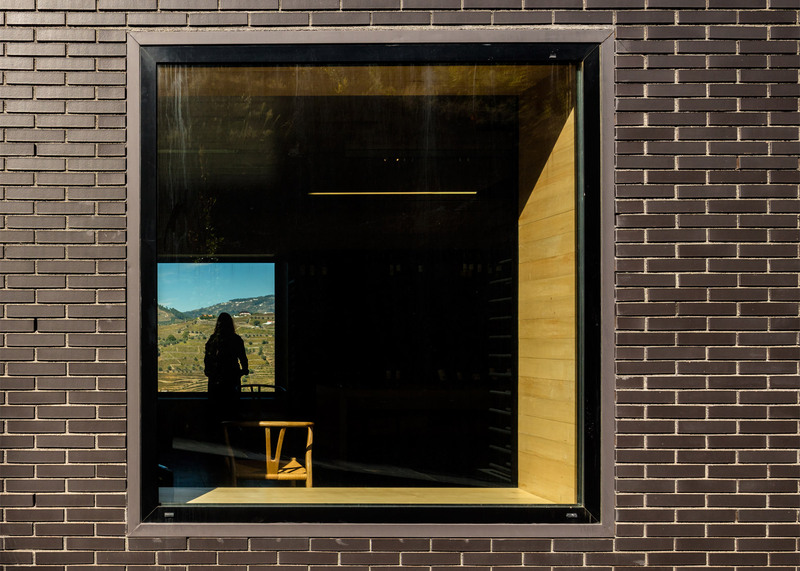 All windows are double-glazed to improve the building's thermal performance. 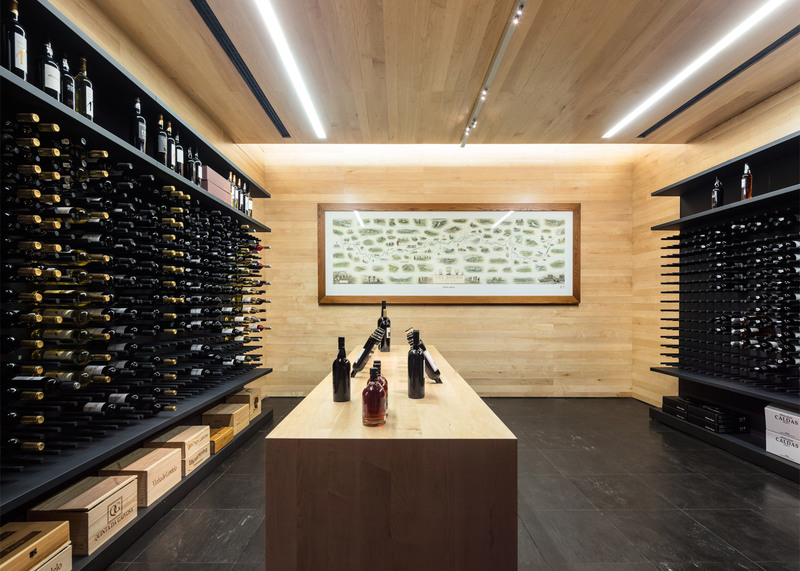 Timber with a light hue is used to clad the walls and ceilings of the reception area, shop and tasting room. 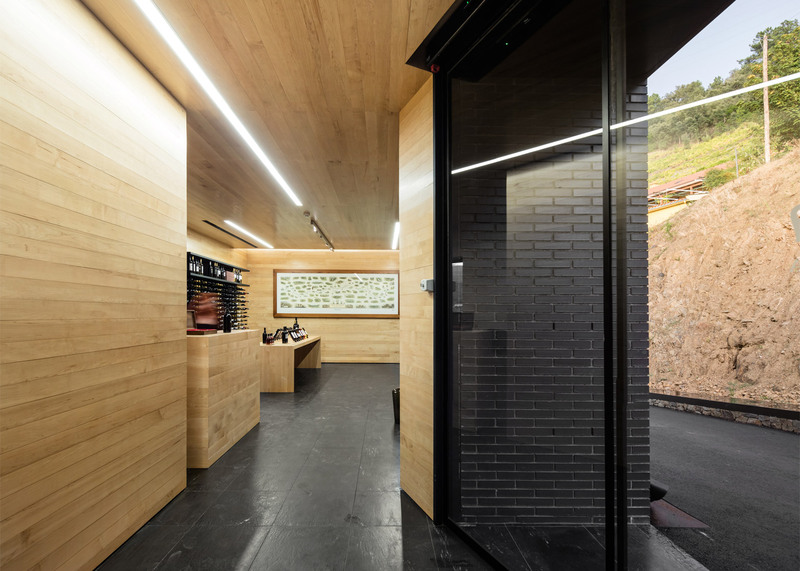 The wood's grain complements the texture of the slate floor tiles. 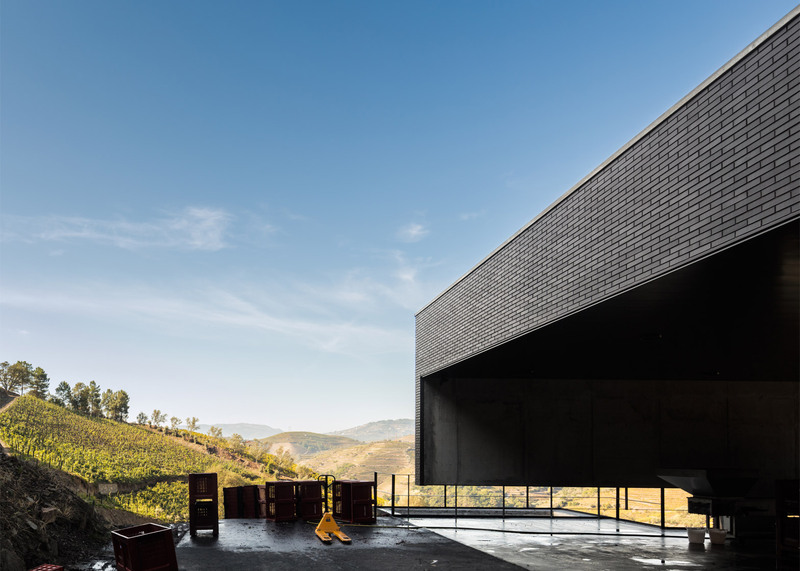 Other Portuguese wineries include a metal-clad building featuring a balcony that extends all the way along one of its gabled ends and an estate that combines rustic stone structure with pre-weathered steel volumes.